One of the most frequently asked questions when our firm meets with a new client relates to the awarding of attorney’s fees. Many of our landlord-tenant clients ask us whether they can recover their attorney’s fees in Court from the other party in the litigation. The answer to this question is not a simple one, and this blog post will answer under what circumstances a party may recover their attorney’s fees from the other party, whether in a landlord-tenant litigation, or other type of case. 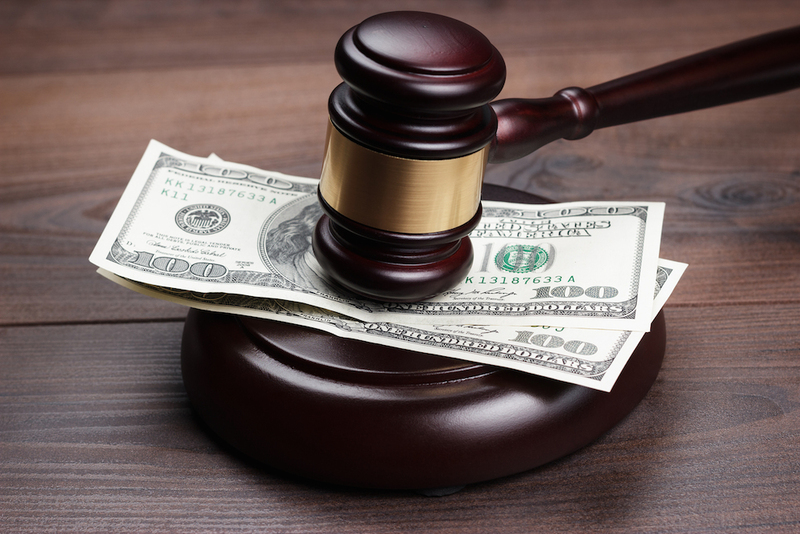 The general rule in most United States based lawsuits is that all parties pay their own attorney’s fees, regardless of the outcome of the litigation. This is the standard rule in the U.S., although, in other countries, the loser of the litigation is often obligated to pay the attorney’s fees of the prevailing party. However, the general rule in the U.S., and, more specifically, in New York State, is subject to certain exceptions. Under these exceptions, which we will discuss, the recovery of attorney’s fees from the adversarial side in litigation may sometimes occur. The first exception is when there is a written contract between the parties that allows for the recovery of attorney fees in litigation. For example, a contract clause may state that if a party defaults in their obligations under a contract, and the other party is obligated to bring a Court action to recover damages, and prevails in that action, then they are allowed to recover attorney’s fees. Careful review of any such contract clause would be necessary to determine whether attorney’s fees would be recoverable. In landlord-tenant actions, a written lease is considered a contract between the parties. In many leases, there is a clause allowing the landlord to recover their attorney’s fees if the tenant defaults under the lease, and the landlord is forced to bring a Court proceeding to evict the tenant as well to recover unpaid rent paid by the tenant. One point to keep in mind is that the attorney’s fees must be “reasonable.” Courts have usually interpreted this to mean that the fees to be recovered are in line with the fees charged by landlord-tenant attorneys in the county in which the action is brought. Many landlord’s attorneys simply charge a reasonable flat fee to avoid having undue Court scrutiny of whether their hourly fee is considered reasonable. The next question is whether the tenant’s attorney’s fees are recoverable, if they have a claim against their landlord. Courts in New York State have interpreted attorney’s fees clauses in leases to be reciprocal. This means that a tenant who prevails in an action against their landlord may be awarded their attorney’s fees, even if the lease only allows recovery of attorney’s fees by the landlord. Courts have ruled that, in the interest of fairness, a tenant may also recover attorney’s fees from their landlord if they prevail in a Court proceeding. The second situation in which attorney’s fees may be recovered in litigation is where a specific statute may authorize the recovery of attorney’s fees by the prevailing party. These statutes are usually federal statutes, not state statutes. These statutes encompass various subject matters, including housing and employment discrimination and willful trademark infringement. Under the federal statues covering these legal claims, attorney’s fees are recoverable by the prevailing party. Of course, most landlord-tenant matters will not fall under these statutes, and, therefore, a written agreement between the parties will be necessary to recover attorney’s fees after successful litigation. In conclusion, it must be stated that attorney’s fees are generally not recoverable in litigation. However, this article does delineate certain situations in which the prevailing party is entitled to recover their attorney’s fees. Our firm is available to consult with any potential litigant with inquiries regarding this subject.